With ideas on how to make quick and easy handmade cards. First decide on your card base....the orientation, size and fold options as outlined in the introduction. Then use one or more of the different ideas below to create your card. Washi tape is a decorative tape that is easy to tear and stick. In card making it is used to add patterns and decorative accents to cards. It's available in a variety of patterns, colours and widths and is repositionable. 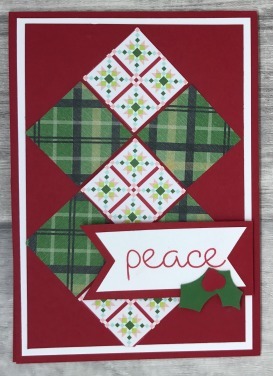 Use it to create borders, stripes, and banners to make simple cards or to add as an embellishment. 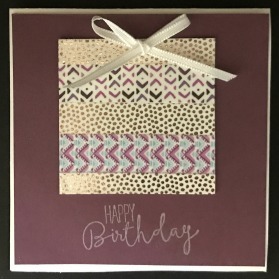 A quick and easy technique is to use washi tape to make patterned shapes. Simply cover a piece of card in washi tape and use a punch to create your shape. 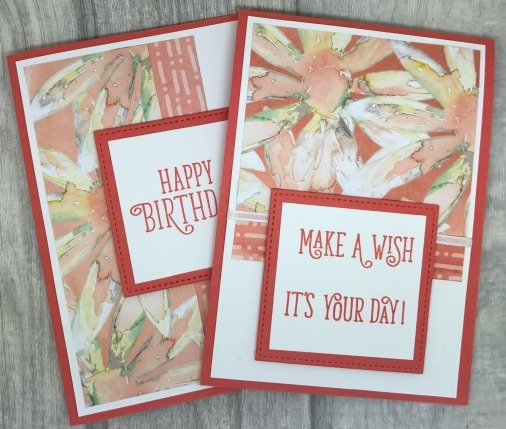 Patterned or designer paper is great for simple cards. 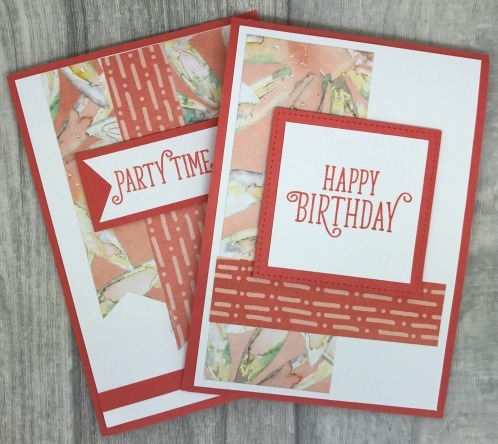 Cut strips or blocks of paper and add these to your card base or layer. Use a matching paper along side for a more interesting design. 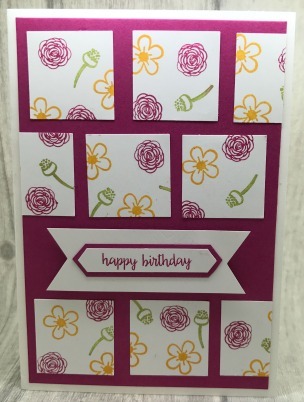 A sheet of 12" x 12" patterned paper can be divided up to create a one sheet wonder to create multiple cards. Paper punches make cutting so much easier and fast. You can buy them in all sorts of shapes and sizes. Try circles, squares, rectangles, triangles and hexagons for different designs. It's a great way to use up all your scraps of paper! Or use a paper punch for cutting your washi card shapes, embellishments or sentiments. Have fun with a stamp set, ink and paper to make an easy card. Stamp sets come in a range of options so choose one that matches your recipients interests. And select an ink their favourite colour to make it more personal. Add a simple sentiment to complete your card. Move on from your basic cards by adding a few extras to take your cards to the next level. Embellishments such as ribbon, twine, sequins, jewels and gems will make your cards sparkle. Create layers to frame your card - like a photo in a picture frame. A layer will make your card stand out from the crowd. 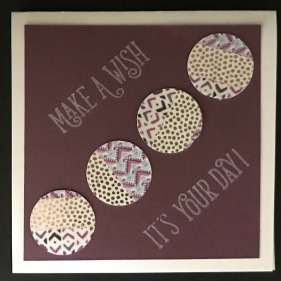 And finally take time to learn advanced card making techniques such as embossing and die cutting to really make your handmade cards dazzle. They're handmade not mass produced!